There was so much concern about the Turkish attacks and about the fate of English captives that in December 1640, a Committee for Algiers was appointed by Parliament whose main takes was to oversee the ransoming of English captives. Members of the Committee included a cross-section of English military, ecclesiastical and parliamentary authority: there was the Lord Admiral of the Fleet, the Bishops of London, Winchester and Rochester, and Members of Parliament chiefly (but not exclusively) from coastal arrest both in the west as well as the east of the realm. In 1641, “An Act of reliefe of the Captives take by Turkish Moorish and other Pirates” was passed (16 Car I. c. 24), and in the next few years, further measures were take by Parliament: “Ordinance for Collection to be made for relief of Captives in Algiers” (April 25, 1643): “An Ordinance for the raising of Moneys for the Redemption of distressed Captives” (January 28, 1645): and on November 12, 1646, “An Ordinance for the Continuing of the Argier Duty, for the Releasing of distressed Captives, taken by Turkish, Moorish, and other Pirates, was this Day read the First and Second time. Throughout the 1640s, the House of Commons had to address the problem of captives and their ransoms. Even foreign refugees were given permission to collect money in England for the redemption of their kin from Muslim slavery. To many Britons, the Muslims posed a danger to all of Christendom, from Greece to England and from “Muscovy” to Ireland. During the Commonwealth and the Restoration periods, the English navy became powerful enough to force peace treaties on the Barbary Corsairs. Still, captives continued to be taken by the Muslims: in February 1662, 300 slaves in Algiers petitioned the King for help, and three years later, the wives and families of eighty catives there petitioned him, in 1668, a patent authorized a “collection to be made in all churches and chapels for two years, for redemption of English subjects, captives in miserable slavery in Algiers, Sally, and other parts of the Turkish dominions…….. 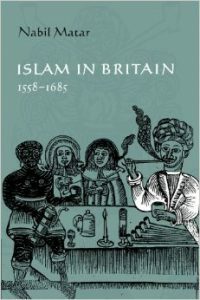 Indeed, Edward Kellet insisted in 1628 that many Englishmen converted to Islam after yielding to Muslim “allurements, rather than to their violence,” to the “baites and allurements of immunitie present, and prosperity promised,” to “their alluring Promises.” Christians, agreed Paul Rycaut, turned to Islam because of its attractions: “the imaginary honour ad privilege of a Turk” directed an “abundance of Greeks, Armenians, Jews, and all Nations” to Islam. Others converted to Islam because the preferred it to their own religion. Many a Christian, wrote the author of The Policy, “is by his own choice and voluntaire motion….circumcised” and this, he noted, happened “often”. A century later, Joseph Pitts confirmed that such conversion was still taking place” “Many there are that do so turn [to Islam] out of Choice, without any Terror or Severity shewn them. Both Pitts and other writers used “voluntary” to described Christian conversion to Islam: Blount referred to the “voluntary Renegadoes” and so to did John Rawlins and Barhtolomeus Georgievits. In the treaty between England and Tripoli in 1676, Sir John Narborough, who negotiated on behalf of King Charles II, included the following article: That no Subject of the King of Great Britain, & c. shall be permitted to turn Turk or Moor in the City and Kingdom of Tripoli, being inducted thereunto by any surprizal whatsoever, unless he voluntarily appear before the Dey or Governor with the English Consuls Druggerman three times in twenty four hours space, and every time declare his resolution to turn Turk or Moor. Conversion to Islam had been so easy that it was necessary for Narborough to make it hard on his compatriots.